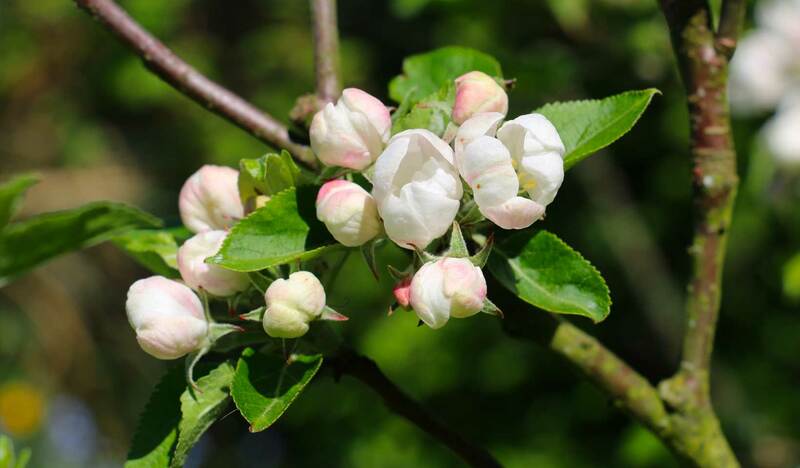 Wintringham, named after a historic hamlet of St Neots dating back to the 11th century, has been identified as a suitable location for a sustainable urban extension to the market town of St Neots for over a decade. Huntingdon District Council allocates the site to meet future housing need and a strategic vision is developed for the eastern expansion to St Neots. Urban&Civic enters into partnership with the Nuffield Trust and is appointed master developer. An ambitious new vision is developed and consented for Wintringham. Archaeology and early site preparation works start. CALA Homes and Morris Homes submit planning applications for the first new homes at Wintringham, St Neots. Work continues on landscaping and infrastructure work along Cambridge Road. Our first residents are due to start moving into Wintringham. 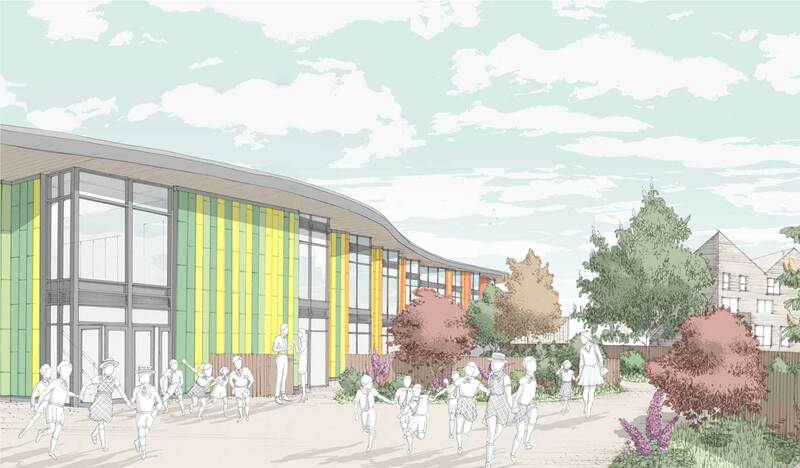 Wintringham Primary Academy, with early years provision, is due to open in September 2020. Urban&Civic was appointed Master Developer in 2017 and formed part of the landowning partnership alongside long term owners, the Nuffield Trusts. 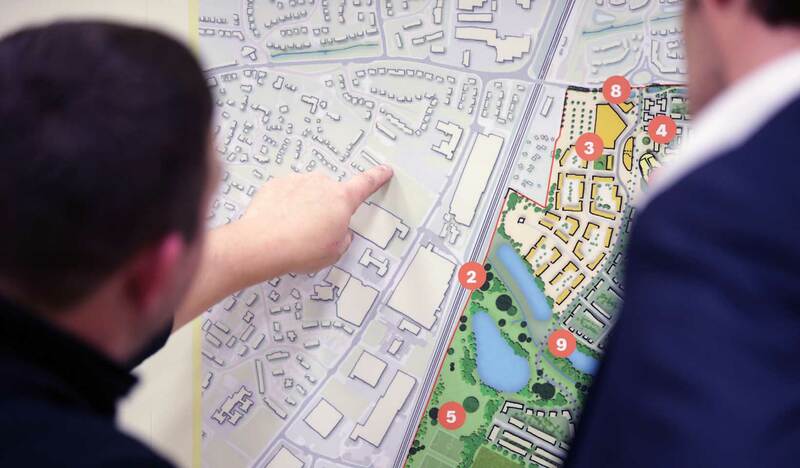 The new design team worked with key partners, stakeholders and the local community to set out a new, ambitious vision for Wintringham as an aspirational eastern gateway for St Neots. The early delivery of key infrastructure will support new homes and businesses and improve connecting the wider area, such as Cambridge Road and existing footpaths including those crossing the railway. Communities are more than just homes and part of our approach is to work with partners to deliver schools, shops, play areas and other facilities alongside new homes, and to invest in landscape and habitats for people and nature into which the community can nestle. Working with the local Roundhouse School on Loves Farm, Wintringham’s first school has already started, addressing a need for more spaces in the Loves Farm community. It will relocate into an inspiring new building within the heart of the first phase of development, opening in September 2020. Wintringham’s historic brooks lie at the heart of our masterplan, providing green and blue links to all points of the compass, and circular routes to ensure people and wildlife can get about safely and explore the area around them. The current area is not rich in habitat or landscape and our plans work with assets such as the Railway Meadow to retain and enhance open space and natural habitat. Alongside this, we will be investing in early landscape improvements and habitat creation across the site, initially along the northern corridor on Cambridge Road with the planting of over 2400 trees planned for this year, to ensure Wintringham is set within a properly-managed green environment.